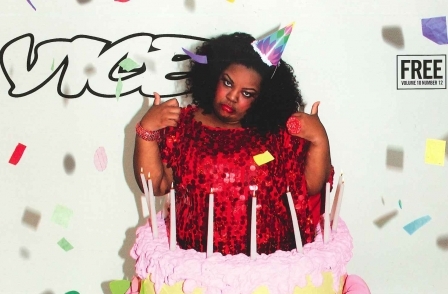 Vice magazine marked the tenth anniversary of its UK launch last week. The magazine continues to eschew the newsstand in favour of a grass roots network of around 850 outlets in the UK including boutique fashion stores, coffee houses and pubs – and now averages a circulation of around 100,000 copies a month. “I think that one interesting thing over the last decade is how more traditional news repositories like broadsheets have veered towards lifestyle journalism,” UK editor Alex Miller told Press Gazette. “Yet we, who are supposed to just go to loads of parties, have actually gone in the other direction and become more serious and more interested in international news and politics. “I think that we’re all as one in agreement that news is more interesting than frivolity, and that actually with the world as it is, and the way it has been for the last decade, it’s madness to turn away from current affairs. The 10th anniversary edition features interviews with Private Eye editor Ian Hislop and an ‘oral history’ of the magazine’s early days featuring co-founder Andy Capper and founding publisher Andrew Creighton.